This video shows you the steps for setting up the integration between SimplePay and Xero. 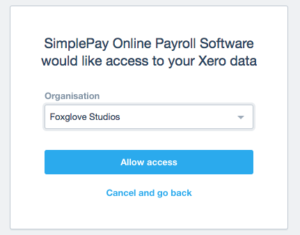 You will need to create certain accounts in Xero to be mapped to SimplePay – any account in Xero that has a lock next to its name is not accessible by SimplePay e.g. the Wages Payable liability. You will, therefore, need to create your own custom accounts for these transactions; for example, you will need to create a Liability account to map to salaries and wages payable. You will also need to set up the relevant expense and liability accounts to map to any SARS transactions, such as UIF or SDL, as well as any bargaining council related deductions. This guide will help you set up the integration between SimplePay, the online South African payroll system, and the Xero online accounting system. This option creates a salary bill / invoice that you have to pay. The nett pay is not posted but is rather calculated as the balancing amount. Furthermore, you will be able to post your ZAR payroll to a bank account that is in another currency, e.g. USD. In future, you will not be asked to map accounts. 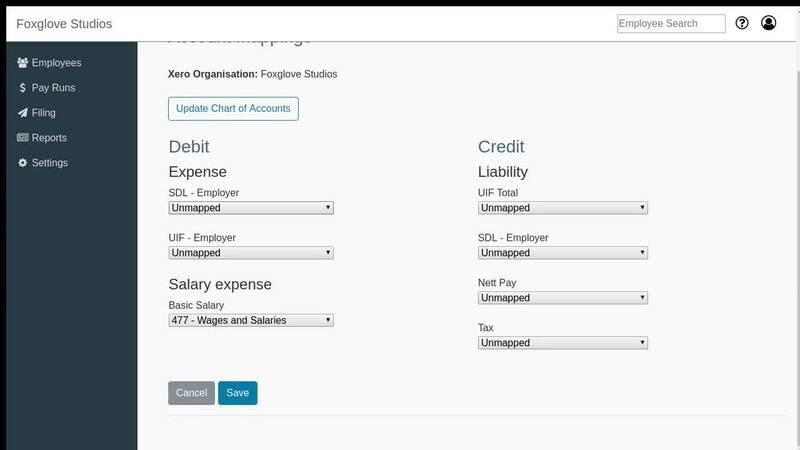 However, if you’ve started using a new payroll account since the last time you posted data to Xero, e.g. you are now paying sales commission for the first time, you will be asked to map that account. 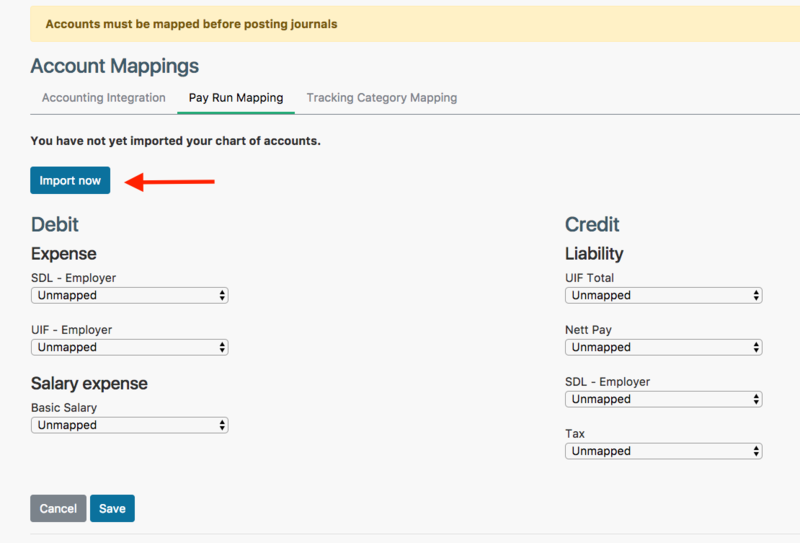 This is because SimplePay only maps accounts that you’ve actually used, saving you the trouble of mapping accounts that you may have on paper but never actually use in practice.